Faced with losing its patents for a billion-dollar dry eye drug, Allergan signed a creative, and controversial, deal with a Native American Tribe to protect their market share. Now it seems that $13.75 million maneuver was for naught as a judge ruled the patents invalid, opening the door for cheaper, generic versions of the drug. The saga started when four rival drug companies, Teva Pharmaceuticals, Mylan Pharmaceuticals, Apotex, and Akorn, challenged Allergan's Restasis patents in court. As the world's largest generic drugmaker, Teva especially could benefit from making a generic version of the popular eye drug if the patents ended earlier than their 2024 expiry. The pharma four requested inter partes reviews (IPRs), which allow challenges to a patent on the grounds the item in question should not have been patented in the first place. In this case, the court deemed the Restasis patent invalid due to obviousness. 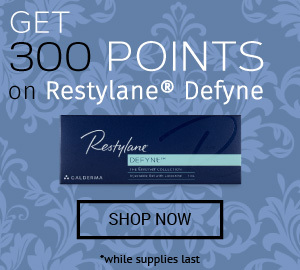 Allergan started the approval process for Restasis in 1999, gaining FDA approval in 2002. However, the drugmaker had originally patented the drug's formula under the name Ding I in 1994, and that patent had expired in 2014. The judge in this case agreed the 0.05% cyclosporin/1.25% castor oil formulation was obvious since the Ding I patent had already existed, and since that patent had also expired, the Restasis formulation was not protected from generic versions. The formula also did not perform significantly better than other similar products available at the time, the ruling concluded. With the patents ruled invalid, rival drug makers can go ahead making a generic version of the money-making dry eye drug, which will likely erode sales of the higher-priced original Restasis. In fact, compounding drugmaker Imprimis of San Diego already plans to release its own version of the eye drug starting November 1st. That company will make a customizable topical formulation of cyclosporine, the main Restasis ingredient that was already off-patent before the court ruling. Other generic versions of the drug may be available as early as next year. Fighting hard to protect their Restasis patent, in September Allergan entered into perhaps the most creative, and certainly one of the most controversial, rights deals. The ophthalmic treatment earns about $1.49 billion in annual sales, almost 10% of Allergan's total revenue stream, money that could be lost if the company faced early competition from generic versions. To protect this key revenue source, Allergan transferred their patents to the Saint Regis Mohawk tribe of New York state. The Native American tribe gained a significant revenue source, with an up-front payment of $13.75 million and the potential for $15 million per year in royalties. Allergan, with the right to license the drug back, thought they may have gained sovereign immunity against patent challenges. The hope was the IPR would be dismissed, keeping generic versions of the drug from eating away at Allergan's market share. The ploy seems not to have worked since the court has now ruled the patent invalid. However, the creative deal did raise concerns with lawmakers and industry analysts, and could still come back to bite the pharmaceutical giant. Not only does the agreement skew the legal system in favor those who can afford to pay to protect their patents, but it also sets a precedent. The tribe involved has already suggested they are open to similar deals from other pharmaceutical companies, and this could open the doors for other sovereign immunity rental agreements in the future, on drugs or other products. The judge in the patent IPR case, US Circuit Judge William Bryson, also had concerns about the patent transfer. At the time, he requested a copy of all documents related to the Restasis patent transfer, and asked if "the Tribe should be joined as a co-plaintiff in this action, or whether the assignment of the patents to the Tribe should be disregarded as a sham". For their part, Allergan's lawyers insisted there was no basis to assert the patent transfer was a sham. Bryson did end up joining the St. Regis Tribe to the case, ensuring neither party could challenge his decision on the grounds the wrong parties were named. In a statement after the October ruling, Allergan said they were disappointed in the decision and considering their options. This is not the first time Allergan has faced legal action over a controversial deal. The pharmaceutical giant is also defending itself in a class-action court battle with doctors who allege price-fixing. That case revolves around Allergan's 2014 licensing deal with Medytox Inc., maker of a South Korean-made botulinum toxin. The lawsuit alleges Allergan purchased U.S. rights to that drug to keep the cheaper alternative out of the lucrative American market. Since the alternative botulinum toxin may have been priced at about two-thirds that of Botox, it would have likely taken a cut of Allergan's approximately $2 billion per year botulinum toxin revenue. As these two court cases demonstrate, Allergan seems to find creative ways to protect its $15 billion per year revenue. It will be interesting to see what surprises the pharmaceutical giant has in store in the future. Allergan manufactures some of the most popular aesthetic products in the industry, including Botox and its Juvederm hyaluronic acid-based dermal fillers. To learn more about Juvederm or other aesthetic products, visit DoctorMedica.co.